Ms. Libricz finds sure footing in this follow-up to The Master and the Maid. The Heaven’s Pond Trilogy is especially pertinent today when women’s role in society is being questioned and hard-won territory challenged. In 1630 Germany, single women, especially with money, were singled out by the powers that be as witches and their fortunes confiscated. Daughters were valuable only if they brought acreage with them to their marriage and were used as pawns. And war, men’s favorite sport, was ceaselessly played on the battlefields of their lives. 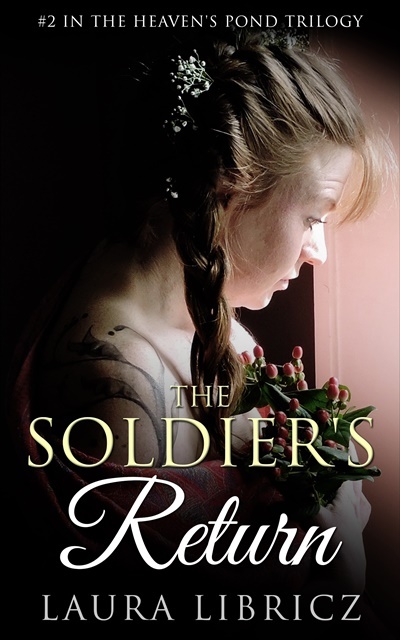 Besides the attention to historical domestic accuracy which Ms. Libricz displayed in her first book, her storytelling talents are running on all cylinders in The Soldier’s Return. Ms. Libricz has accomplished an admirable feat: creating a riveting fictional world in the context of historical accuracy. You do not have to read the first book in the series to enjoy this one, but I think it will enhance the experience. I am definitely looking forward to the third book in this series and, in fact, much more from Ms. Libricz. This entry was posted in #BHBW, #rrbc, Bamberg, Books, Castles, Germany, Höchstadt a. d. Aisch, Heaven's Pond, History, Nürnberg, The Soldier's Return, Writing on January 10, 2018 by lauralibricz.